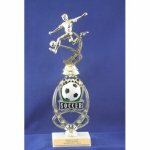 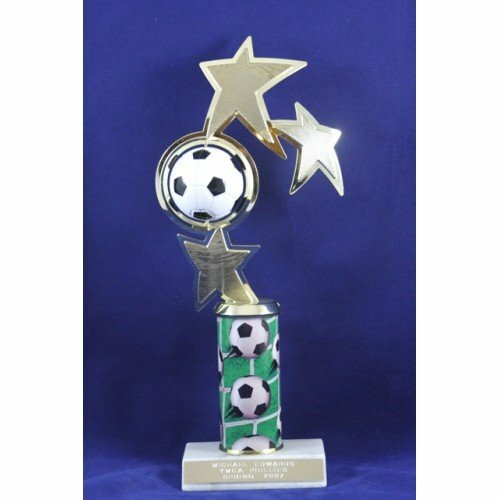 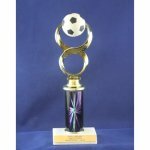 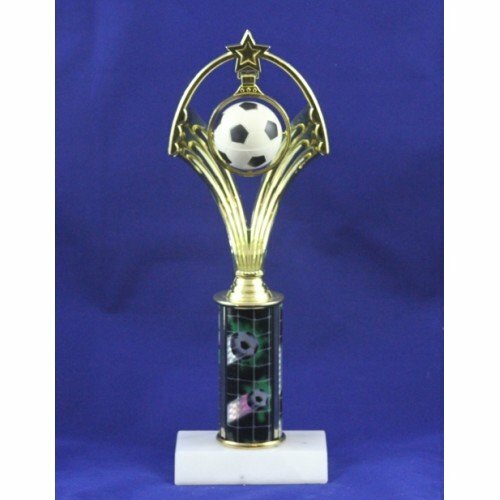 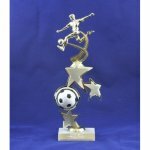 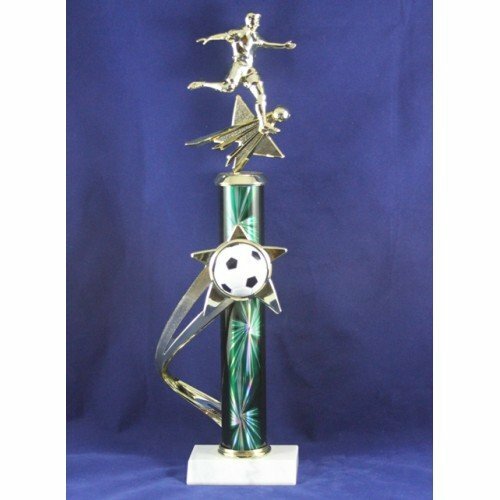 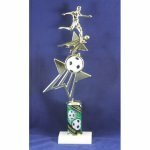 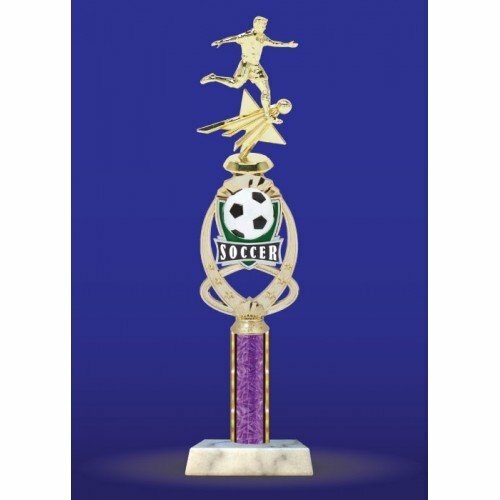 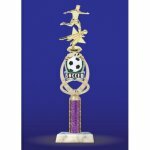 7-3/4" Soccer 3 Star Riser with Spinnin Color Soccer Ball and figure. 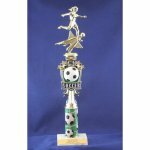 Total height approx 14-1/2". 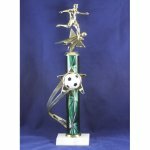 7" Meridian Sport Riser with full color Soccer Relief and Figre. 7" Meridian Sport Riser with full color Soccer Relief and Figure on 4" column. Shooting Star SOCCER Riser and Star SOCCER Figur. 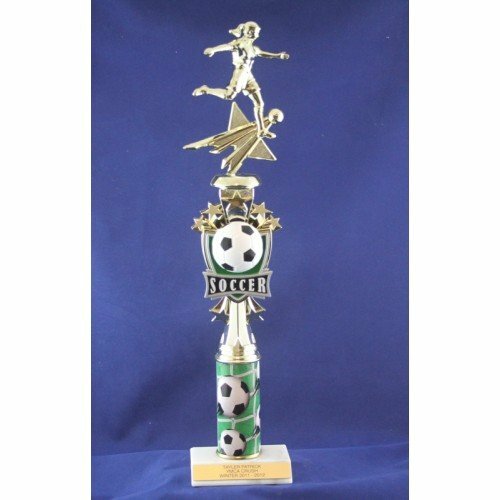 Total height approx 12.5". 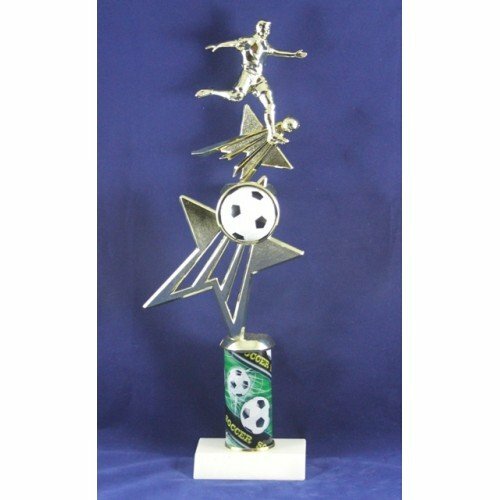 Shooting Star SOCCER Riser and SOCCER Star Figur on 4" column. 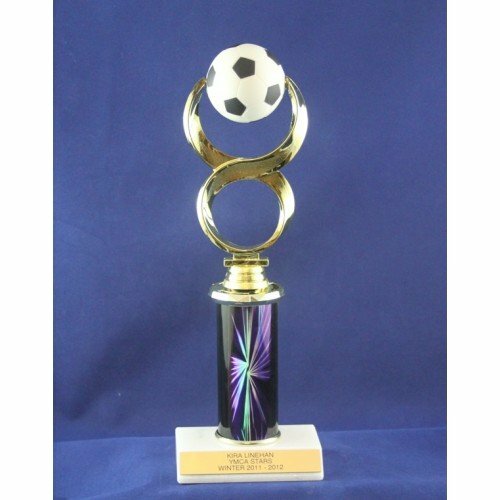 Total height approx 16.5". 10" Laser Star Column, 8.5" Sport Star Backdrop, Star Soccer figur. 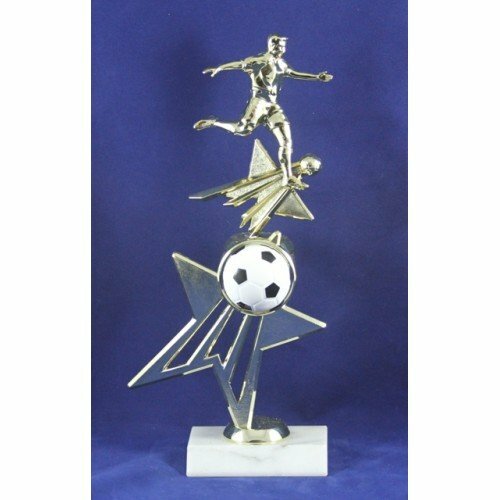 Total height approx 17".